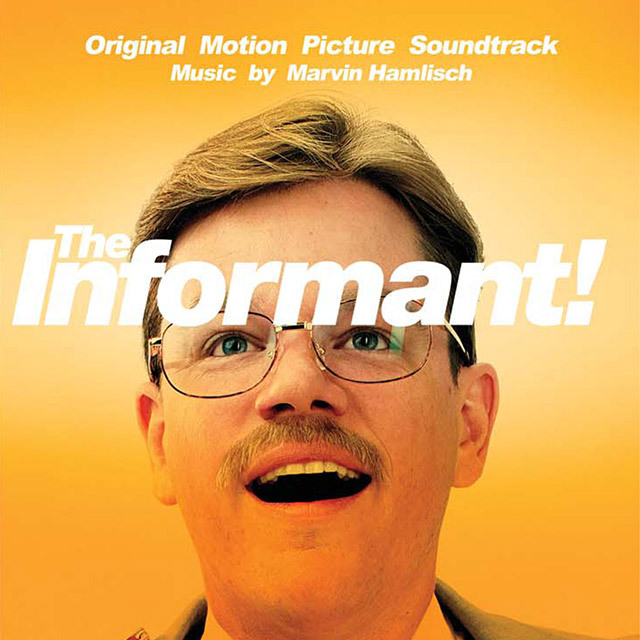 Marvin Hamlisch’s soundtrack to the new Steven Soderbergh dark comedy thriller based on the book by journalist Kurt Eichenwald and starring Matt Damon. This highly anticipated flick tells the true story of Mark Whitacre, the highest ranked corporate whistleblower in US legal history. The film will be opening in the UK on November 20th. The Soundtrack features the song Trust Me with music by Hamlisch and lyrics by Alan and Marilyn Bergman whose previous successes include L.A. Is My Lady, Nice ‘N’ Easy, The Windmills Of Your Mind, What Are You Doing The Rest Of Your Life? and You Don’t Bring Me Flowers. The score features top musicians, and boasts drummer Peter Erskine of Weather Report. As composer, Hamlisch has won virtually every major award that exists: three Oscars, four Grammys, four Emmys, a Tony and three Golden Globe awards. He has written music for more than forty films, including Sophie’s Choice, Ordinary People, The Spy Who Loved Me, The Way We Were and The Sting (adaptation of Scott Joplin).